North Essex has a key role to play in supporting the UK’s energy provision as the industry adapts to meet new challenges through clean energy production primarily through offshore renewables, gas and new nuclear. 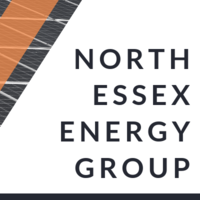 The North Essex Energy Group (NEEG) was established in 2018. It is a group of public and private sector organisations working together to unlock energy and low carbon-related growth in the North Essex area and beyond. Current members include Colchester Borough and Braintree, Maldon, and Tendring District Councils, Essex County Council as well as the South East Local Enterprise Partnership, Colchester Institute, University of Essex, Haven Gateway Partnership, Harwich International Port, and the Greater South East Local Energy Hub. The energy sector offers significant opportunities for local businesses. Recent industry forecasts from Nautilus suggest that more than £10.8bn of new capital investment is planned in major energy and infrastructure related projects before 2025. This increases to more than £59bn by 2040, with more than half forecast to be invested in new offshore wind projects off the east coast. The new study will identify the key opportunities for businesses within the energy sector in North Essex and will engage with businesses and organisations across the county to identify key issues, opportunities and challenges facing the sector’s growth. In addition to the study, an energy sector business database will be created which will be used by the NEEG to disseminate industry updates, intelligence and market opportunities, industry specific consultations, business training, and networking opportunities tailored to the energy sector. All company information collected will be managed by Colchester Amphora Trading on behalf of Colchester Borough Council and the wider NEEG to ensure all data is protected in line with current regulations. The North Essex Energy Group (NEEG) would like to contact companies registered as active in the North Essex energy sector in the future to provide updates, information and business development opportunities in the energy sector. All personal information gathered as a result of this commission will be held by Colchester Borough Council and may be shared with members of the NEEG for these purposes. This work has been part funded by Essex County Council, Colchester Borough Council, Tendring District Council and other members of the NEEG consortium.